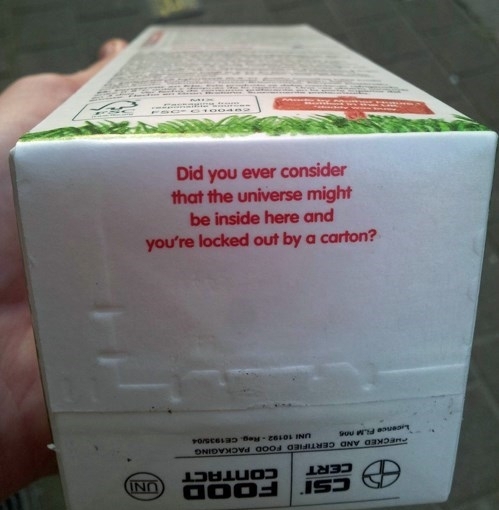 Given that I am in the universe, I am not locked out by a carton. Therefore, if it is in the carton, then I must be inside the carton. If the carton is also inside the universe, then I might be able to see the carton while being in it.